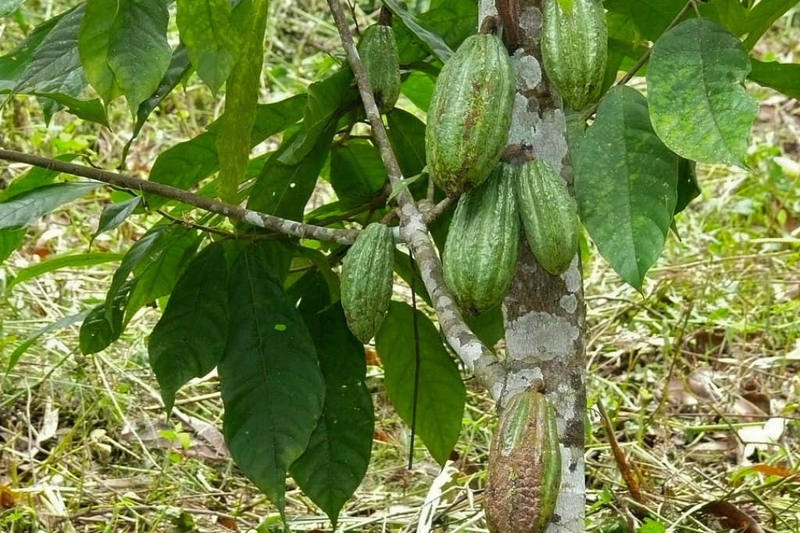 Cacao tree (Theobroma cacao): growing, planting, caring. Theobroma cacao - the cacao tree - is a small (4–8 m (13–26 ft) tall) evergreen tree in the family Malvaceae, native to the deep tropical regions of the Americas. Its seeds, cocoa beans, are used to make chocolate.